This is a question I was asking myself about a month back while playing Left4Dead: The Passing with Team Unwinnable. On the last stage of The Passing, our new group of survivors come across the original survivors with one glaring exception – no Bill! Francis tells the team that Bill sacrificed himself so that the rest of the group could escape. I was puzzled as to why we didn’t get to see this awesome act of selflessness. To paraphrase William Shakespeare, “a coward dies a thousand times, a hero dies off-screen.” I could not fathom why the death of a major character didn’t even warrant a cut scene. Bill’s heroic demise should at least warrant a cut scene, right? 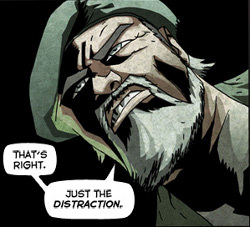 Well fast forward to about two weeks ago when I saw Michael Avon Oeming’s (Mice Templar, Powers) tweet about his Left4Dead: The Sacrifice web comic. Left4Dead fans got something even better than a cut scene; we got to see Bill’s last run in gory detail as well as a back story for Zoey, Louis and Francis! Valve let Mr. Oeming run wild over the equivalent of 40 pages. Oh, and best of all? The comic is completely free. Originally released in four installments, you can now check it out its entirety at http://www.l4d.com/comic. 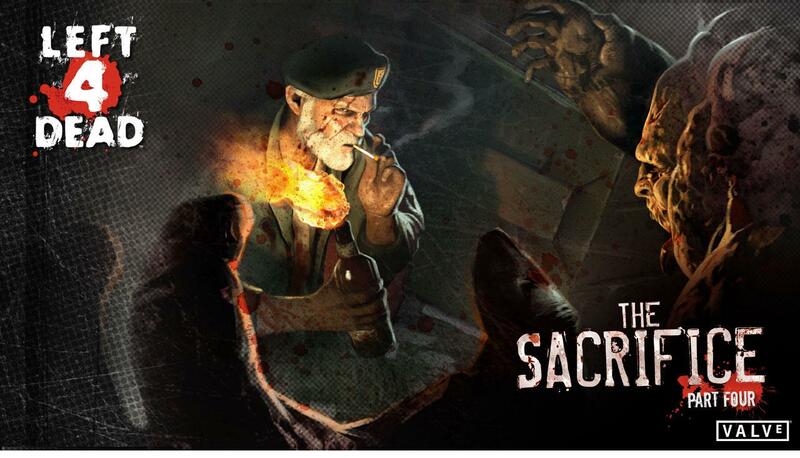 The Left4Dead: The Sacrifice campaign is also available now as DLC for XBOX Live and PC. Via Con Dios, Bill. We hardly knew ya.